Know which campaigns are working in real-time and take the guesswork out of digital marketing. No need to create lists to market to your customers in their language. SmartDesk automatically splits campaigns to your audience based on their preferred language. Pull data elements from each contact to create a personalized email campaign within the context of a large email campaign. SmartDesk uses channel tracking attribution for all leads by campaign to know what marketing is working. Create automatic response emails that get sent when a specified trigger event takes place. Real-time notifications alert you when a specified action takes place, such as a prospect clicking the call-to-action in your email. 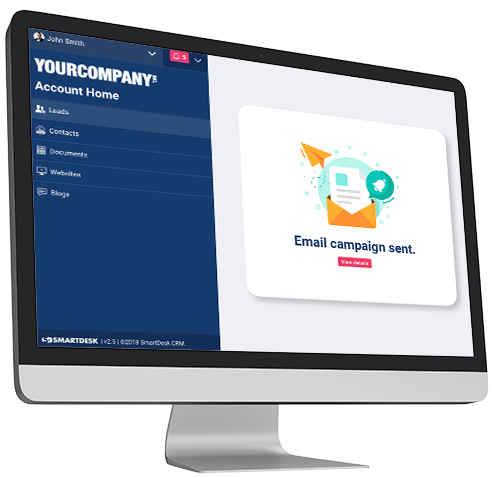 SmarDesk allows you to send an email campaign to a segment of your contacts or everyone in your system. Autoresponder emails let your customers know right away that you got their message and what your next step is going to be. 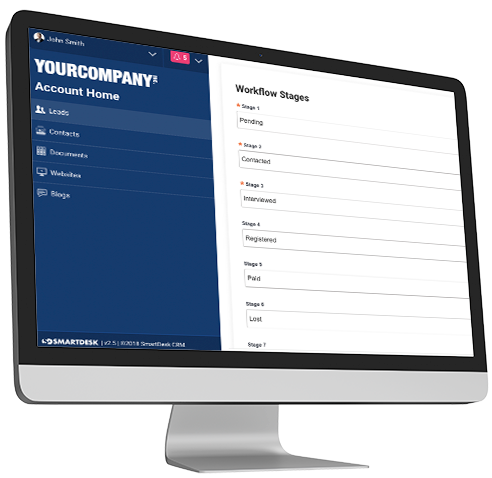 Set your campaign workflow up and let SmartDesk do the rest. You can get on with your day-to-day knowing that your customers are being nurured. Powerful marketing automation capabilities that route leads and customers through you funnels based on their behaviours and preferences. With multi-channel toolset, powerful segmentation capabilities and fully customizeable automation pathways, you'll create high-converting marketing campaigns that get you the results you need for business growth. Marketing automation and so much more, simplified.